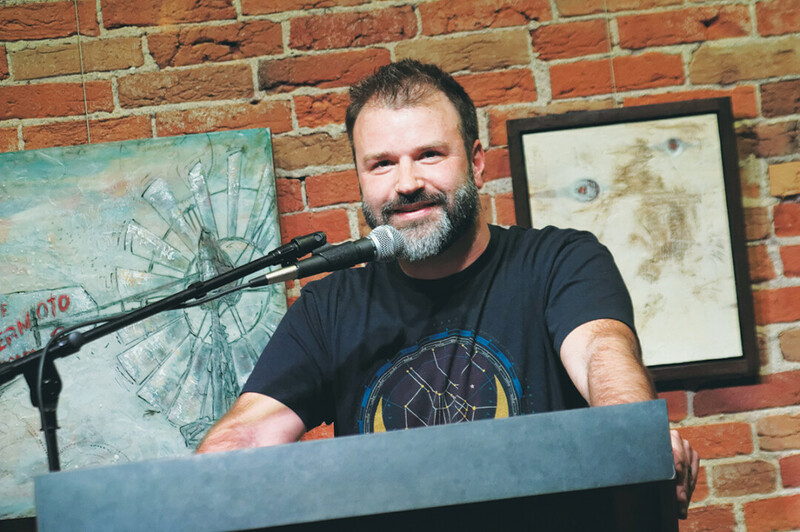 While it draws authors from all over the United States, one of the strengths of the Chippewa Valley Book Festival is it’s ability to spotlight some of the talented scribes who live in our own backyard. Prominent among this group is Eau Claire’s own Nickolas Butler, who has earned internationally acclaim for Shotgun Lovesongs, Beneath the Bonfire, and The Hearts of Men. Butler’s latest novel, Little Faith, won’t be available until next March, but the author will give a sneak peek of this tale of “the power and limitations of faith” during a reading and discussion in Menomonie on Oct. 22. Here’s what Butler has to say about which writers inspire him – and what he hopes readers get from his fiction. What is something you’re excited to share about your work during the festival? I’m just incredibly excited to read from, and talk about my new novel, Little Faith, which I’m previewing at the festival. It’s a novel that is set along the Mississippi River in rural Wisconsin, and I think it’s a book that a lot of people in the Chippewa Valley will really appreciate and feel close to. Read. Read. Read. Read. Read. Don’t worry about being a twenty-something wonder-boy. Live your life, collect stories, work on your craft. Write because you love it, because you’ve always loved writing, and books. Don’t worry about the rest. What do you hope readers learn from your books? Actually, I don’t care if they learn anything. I’m not writing nonfiction or an instruction manual. I’m writing novels, stories. I hope that my readers are entertained, that the story transports them. That they feel an attachment to the characters. Anything more than that is gravy. You can’t expect anything from your audience, I think. Once I turn my manuscript into my editor, the story doesn’t strictly belong to me anymore. And beyond that, I’m done exploring whatever emotions or curiosities I was obsessed with during the writing. Once I’m done writing a book – I just move onto the next thing. I think it was probably high school. I wrote for Memorial’s newspaper, Purple Wings. I’d quit playing football and baseball and I think writing became my new identity, a way for me to gain encouragement from the people I cared about. I remember walking down the hallway one day and some big jock slapped me hard on the back for some movie review I’d written and I thought, “Maybe I’m OK at this thing.” After that, I wrote a lot of poetry and nonfiction until I stumbled onto becoming a fiction writer. I also give infinite credit to my fifth-grade teacher, Doug Smith, who I still consider one of the most influential people in my life. Shout-out to Doug Smith. So many books have inspired me to become a writer. Shelves of books. But certainly All the Pretty Horses by Cormac McCarthy, East of Eden by John Steinbeck, The Old Man and the Sea by Ernest Hemingway, and Beloved by Toni Morrison. I’ve been revisiting Anthony Bourdain’s oeuvre which has been both deeply rewarding and terribly sad. He was an incredible writer with a unique voice. And I love reading great food writing. Really looking forward to reading William Finnegan’s Barbarian Days. I think I’m going to read a stack of surfing books this Wisconsin winter. Nickolas Butler will read from his new novel, Little Faith, at 6:30pm Monday, Oct. 22, in UW-Stout’s Memorial Student Center Ballroom, 302 10th Ave. East, Menomonie. The event is free and open to the public. Learn more about this and all of the book festival’s events at cvbookfest.org.